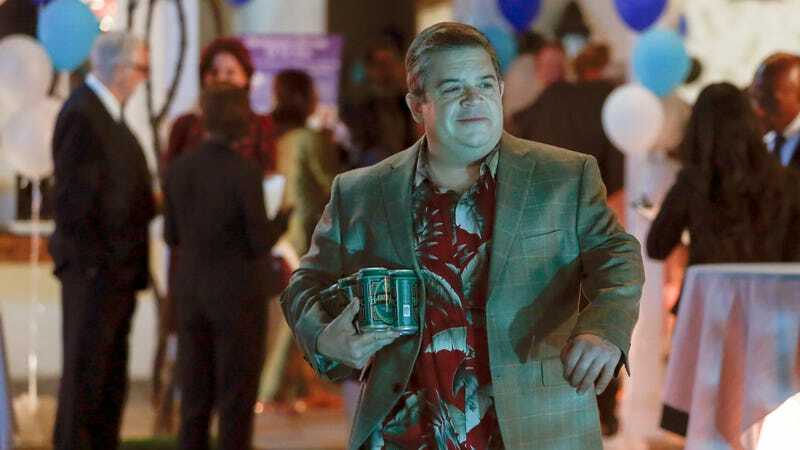 Among his many accomplishments, Patton Oswalt is rightly famous for his ability to talk for basically forever on any number of topics, something he once proved—at length—on behalf of Star Wars, the X-Men, and Parks And Recreation’s people of Pawnee. Now, Oswalt’s latest gig, NBC’s A.P. Bio, has tapped into his ability for focused rambling, too, as revealed in this cut clip posted to Twitter tonight by the show’s creator, Mike O’Brien. Giving the stand-up and author the fateful suggestion to “add a line of your own” after a joke about ska bands, O’Brien and his team instead got one of the most wistful monologues ever recorded about No Doubt, The Pietasters, and the petty jealousies of Tweed Sneakers. It might not be an eight-minute script treatment for the greatest sci-fi-comic-book crossover movie never filmed, but Oswalt does give a pretty neat assessment of the tragic death-by-hair-bands that brought ska down, all apparently off the top of his head, and all while remaining locked precisely in character as sad-sack, wannabe-cool-guy principal Ralph Durbin.